A six feet three-inch tall middle-order batsman, playing in his debut series against Australia, walks down the pitch and hits the stubborn McGrath over mid-wicket for a boundary. This shot not only brings England four runs, it brings them countless questions, hopes, fears and surprises. The traditionalist country of England, where students of the game have it drilled into their heads that hitting the ball in the air in a Test match is a crime, stands shell-shocked, wondering who this new prodigy is. Kevin Pietersen arrives with a bang. Less than a year later, a completely opposite - patient, methodical, scholarly student of the game walks into the English side as an opening batsman. He grinds it out on a sub-continental wicket at Nagpur, leaving the ball well outside the off stump, tiring the bowlers to make them bowl to his strengths, and toils out a second innings 100, countering reverse swing and high-quality spin. Alastair Cook arrives with admiration. Two of these batsmen, starting almost together, with attitudes as different as chalk and cheese, go on to become prolific legends of the game. One, England’s highest run scorer, and the other, who could have been England’s highest run scorer. One, a gentleman symbolizing the game of cricket, the other, revolutionizing the game of cricket. One, a classical left-hander, the other, a rebellious right-hander. Yet, these two batsmen with diametrically opposite batting styles always complemented each other and had each others' backs. 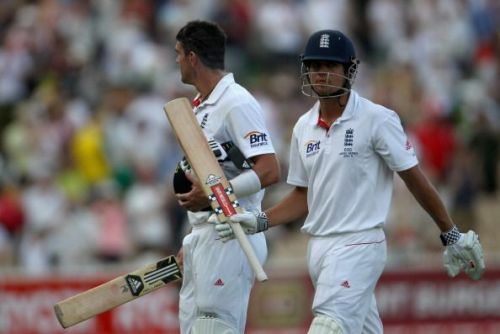 However, after Cook recently announced his retirement, he confessed that he hasn’t spoken to KP for almost five years. He also stated that the biggest regret of his cricketing career was that he didn’t handle the situation better, he didn’t bring KP back to play for England after he was unceremoniously sacked from the team following the 2014 Ashes. What went wrong between the two and what caused the biggest rift in English cricket? What was the sequence of events behind the axing of Pietersen and what did Alastair Cook feel about it? In early 2012, KP was sacked by the ECB for immaturely giving out England team plans against South Africa by sending them "provocative texts". Alastair Cook, the then England captain, fought for his place in the side and got him back into the side for the Indian tour. KP repayed the faith restored in him by playing magnificently in India, leading Cook’s side to a famous 2-1 away win. When England toured Australia for the Ashes in 2013-14, they were humiliatingly whitewashed and faced a lot of backlash back home. It was during this series that Cook started developing rifts with Pietersen, when he thought that KP simply looked to attack and threw his wicket away. This is not uncommon when it comes to aggressive batsmen and their captains, for even Dhoni and Ganguly have been distraught at Sehwag when he threw his wicket away going for glorious shots rather than consolidating for the team. After the series ended, Kevin Pietersen, who was the highest run-scorer for England, was infamously axed from the team due to his ‘poor attitude’ – in the words of Paul Downton – England’s then director of cricket. 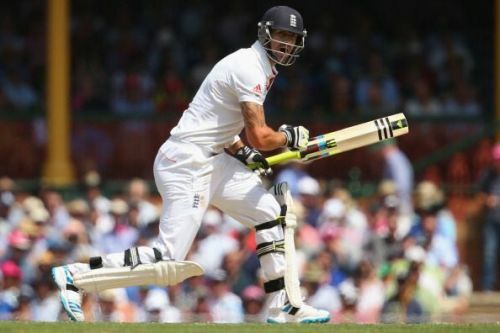 Many believed that Pietersen was just made a scapegoat for England's losses, and fans wanted Cook to stand up for him and get him back to the side. But, there was no clarity regarding Pietersen’s return. Paul Downton, however, wanted closure, axing KP permanently so that there was no uncertainty or animosity amongst the team and the media. After Downton’s term was over, Andrew Strauss, the then director of English cricket asked KP to perform well in the domestic season in order to earn a national call-up. Pietersen dutifully did this by opting out of the IPL for a county season and scoring a triple hundred right before England’s next home season. After this, Andrew Strauss, without being aware that he was heard on national commentary, called Pietersen a complete c**t, following which he made the announcement that he would no longer be a part of England cricket team's plans, thus ending his career at least 3-4 years prematurely. What could Cook have done? Alastair Cook could have stood up for Pietersen and demanded his return to the side, just like he had done before England toured India. Pietersen was good enough to walk into any international side at the time and the collective focus of the English cricket team should have been on playing the best xi for the country on the field rather than brooding egos. Cook could have at least called for a meeting/discussion with KP and the board before taking the final stand. Unfortunately, he was too pressurized by the entire situation and wasn’t able to handle it well. He decided to deal with it by letting go of the flamboyant batsman and moving on with the game. Kevin Pietersen, although treated unfairly, could have withheld from arguing against the ECB so much. KP put out an autobiography and openly criticized the board and the captain for unjustly treating him, as well as crying out for support on social media. He tried to pressurize the board, forcing them to get him into the side via social media, instead of having a face-to-face discussion with them. Had Pietersen sorted out the issue within the team instead of being made a victim on social media, it would have improved his chances to cement his place in the side. Cook also mentioned his regret regarding not handling KP better and his hope that time would heal the wounds between them. It is to be seen what happens ahead, we sincerely hope they bury their hatchets and move forward, cherishing the amazing memories they shared. The boat of their conflicts has already sailed and whatever said and done, Cook and Pietersen will both be remembered as pillars of English cricket and greats of the game.